Why are you measuring Net Promoter Score (NPS)? Does it provide you the best insight to your customer’s satisfaction? Maybe you read The Ultimate Question six years ago, and have found your silver bullet to customer service? Or your boss told you to do it? Does anyone else struggle with what to do with a score of 27 when last month was a 29? 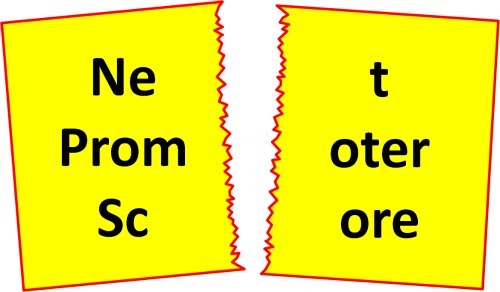 Do you end up looking at all the verbatim to understand the differences? Do you ever wonder if someone’s score of 6 is another person’s 8? (Most probably) The reason you ask this question is to understand “how likely is my company going to retain you as a customer?” If that was the question you needed the answer, would you consider possible other ways to skin the cat? The primary purpose of Customer Service departments is to retain customers. Yes, great customer service can fill the top of the funnel with new, super-qualified and efficient leads. (Learn more about the traditional funnel and how to Flip the Funnel) However, if Customer Service is not focused first on retaining customers, they become a worthless cost center. Let me be clear, there are clearly differences how companies approach retention (ex. Zappos and <insert name> cable company). Back to the heart of the matter; if you step back there are more ways than just NPS to answer the question “how likely is my company going to retain you as a customer”. It is not the silver bullet. One recent trend that has peaked my interest is customer behavior scoring. 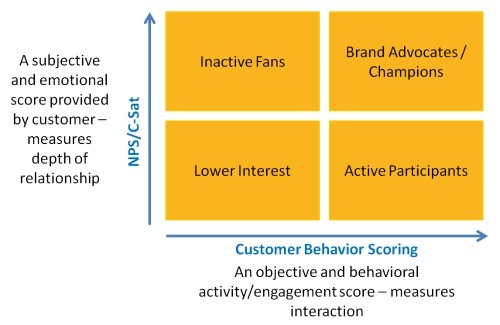 This scoring uses variables, determined by the organization, that help leaders, management, and agents understand how often engage with your product or service, how effective customers are at using your product/service, and how much of your full suite of solutions are they utilizing. 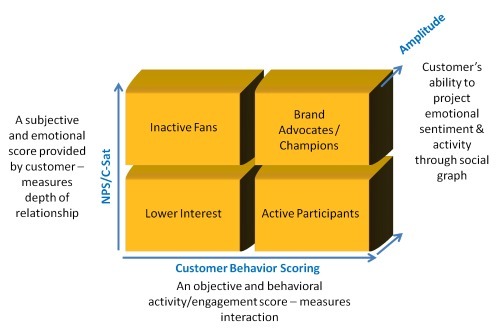 By leveraging behavioral data, you take the subjectivity out of scoring. This methodology is gaining steam with SaaS model businesses. For example, you should be able to infer a customer’s likelihood of retention or attrition by understanding how often they log into your application. This data can be presented in more raw form to analyst teams to create proactive programs and/or fed to front line associates with specific actions to take if contact is made. There is considerably more actions that can be taken based on behavioral data than from subjective Net Promoter Scoring. A Boston based company Apptegic is making some nice progress bringing these tools to market. And while I think behavioral scoring is incredibly interesting, I am not sure it is the answer either. However, if you are able combine the emotional and subjective scoring with the behavioral and objective scoring, you start to see a much clearer picture of an actual customer. Emotional scoring (NPS/CSAT) measures the depth of the relationship, and behavioral scoring can measure interaction; together you get what I would call an Engagement Score. And it gets even more interesting if and when you are able to understand the potential impacts of their social graphs. Now, you have a clear understanding of who your brand advocates are, and can develop programs to leverage their enthusiasm and the power of their voice. You can also be more prepared if you have active participants with loud voices who are more likely to comment on displeasure. Once you understand which box your customer is in, you can develop effective actions to be taken by your leadership, marketing and floor associates. All I am trying to say is NPS is not the only game in town. We should all be questioning why we do things. And finally, if you get to the root of you quest (the why), we can develop solutions that meet and exceed our needs in this dynamic landscape. Are you fed up with NPS? Are you using another customer scoring system that is working for your business? Does a combination score lead us closer to a “silver bullet”?